Whenever a tour operator or airline goes bust this always results in chaos and misery. So what are your rights when an airline goes bust? Whenever a tour operator or airline goes bust it means chaos and misery for passengers whose long-awaited holiday plans are wrecked. So what are your rights when an airline goes bust? All tour operators and travel firms selling air holiday packages in the UK are legally bound to hold an ATOL which stands for Air Travel Organiser’s Licence. 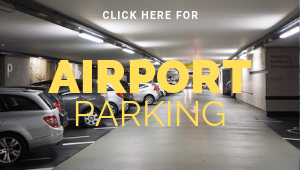 It is run by the Civil Aviation Authority (CAA) and funded by contributions from the travel companies, who must pay a fee into the scheme for each person they book on a holiday. This means that if a travel company, airline or hotel goes bust, help is at hand to get you home or if you can’t travel you will get a refund. So, travellers that booked their flight and accommodation as a package through an ATOL/ABTA or AITO bonded agent or operator will find that they are covered for the worst and that the CAA (Civil Aviation Authority) will be responsible for getting you home. Passengers will either get a full refund, or if they are already abroad, they can continue enjoying their holiday with the peace of mind that ATOL will be sorting out their homeward bound travel plans. But consumers should be aware if they are booking only flights from a travel agent even if they ARE ATOL-protected. If you purchase a scheduled flight and are given either an e-ticket or paper ticket immediately or within 24 hours of the airline going bust, you will not be covered and the travel company is not legally bound to refund or repatriate you. Protection depends on whether or not the agent has ATOL bonding. If they do you are entitled to a full refund but its not clear-cut. Some agents will only refund the cost of the flight if it was booked in conjunction with a hotel (in effect it became a package). Request for refunds for flight-only bookings may fall on deaf ears. If you paid using a credit card, you are probably protected under the Consumer Credit Act 1974, as long as the transactions is over £100 and less than £30,000, but it depends on the card issuer. Contact your card provider or bank and they will send you a claim form. You will need to provide evidence that your flight was cancelled. If you are not due to fly yet you must wait and see whether the administrators can get the planes flying once more. However, there is no provision to cover the costs of getting home. If you paid using a Visa or Maestro Debit card you may be protected on transactions over £100. You will have to check that your individual bank has signed up to the “chargeback” procedure. However non-visa debit card payments will have no such protection. Does it assist in getting a refund? Unlikely. If you have stipulated this as a condition of your insurance you will be okay. Standard travel insurance policies, generally, won’t have this provision. 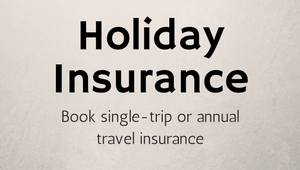 Does Travel Insurance cover a package holiday? Travel Insurance policies tend to favour package holidays over stand alone flight bookings when the firm goes bust. But it is worth checking. Your travel insurer will tell you to go to ATOL first. Does Travel Insurance cover scheduled flight only travel? It is not safe to assume that your travel insurance will cover airline insolvency. If the policy contains SAFI (Scheduled Airline Failure Insurance) then you are covered, but this is hardly ever the case. Should I go ahead and book another flight, stay at my hotel and chase down the cost of the original flight later? Or should I wait for my refund to come through first? If you are travelling quite soon, then go for it. Consumer Credit Act refunds can take several weeks and the same applies to travel insurance claims. So buy now and chase claims later.